Halykos Hotel takes its name from the lands of the river Platani . It 's brand new building equipped with the most modern comforts , located in a residential area in the heart of Cammarata , a country surrounded by the green of the forest of the Sicani Mountains , a natural site of great interest thanks to a fauna that includes particular species of falconiforms and the presence of rare varieties herbaceous endemic. 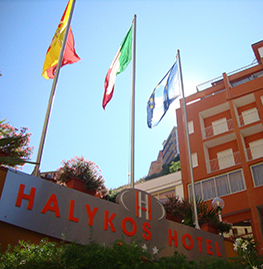 Hotel Halykos is strategically located near the center of the two charming villages of San Giovanni Gemini and Cammarata . It is 15 minutes from the peak of Mount Cammarata , the highest mountain after Mount Etna, that it seems to be the guardian of such nature , where you can see the landscape of the Sicilian hinterland with the wilde and lush pine forest adorned with meditrerranea maquis . Located 10 minutes from	freeway SS 189 , 30 minutes from the Valley of the Temples in Agrigento, 1 hour from Palermo , and 1 hour and 15 minutes from the international airport " Falcone- Borsellino". Reception - The hotel consists of well-trained staff is always available for your every need. Comfort - For your comfort, the rooms and all the spaces are equipped with the most modern facilities . 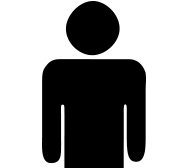 Parking - We have available for your use a wide parking area video surveillance H24. Food - We use typical local products and from a reliable source. Wi Fi -Halykos Hotel has a free wifi in the Bar.